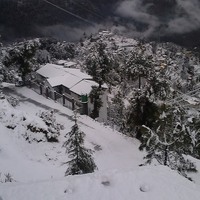 There is much to appreciate about India’s beauty; however, it’s not just the popular places we are referring to. The country boasts of hidden gems, which if explored may give you a pleasant surprise. This is exactly the experience V Resorts does not want you to miss. Founded in 2011 with the aim of offering leisure travelers a glimpse into unexplored destinations, the brand operates a chain of resorts that promise to offer a truly authentic experience. Resorts set amidst the jungle wilderness, historic sites, and glistening lakes will leave you with a desire to explore and sink in the beauty all at once. 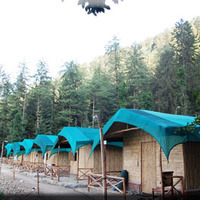 V Resorts also plays an integral role in boosting the employment opportunities for locals by offering them a platform to exhibit their crafts and products. The brand also focuses on functioning through sustainable means, making it a business venture with a heart. 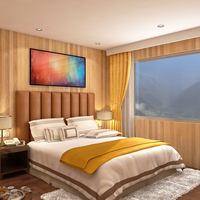 Cozy rooms await you at V Resorts, which are equipped with amenities to keep you comfortable. Besides, a skilled team ensures you feel at home. Rooms feature telephones, power backups, television sets, and coffee makers. 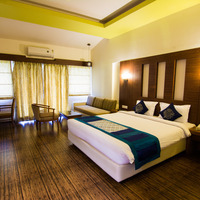 Additionally, there are doctors on call, laundry services, activity rooms, children’s playgrounds, libraries, swimming pools, and many such facilities at V Resorts. Room service also ensures you and your family receive personalized care. 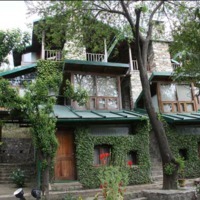 To make the most of your trip, you may try out the various activities offered by V Resorts, which include Yoga, kayaking, paragliding, and more. Select V Resorts have conference halls and venues for intimate gatherings or even grand occasions like weddings. 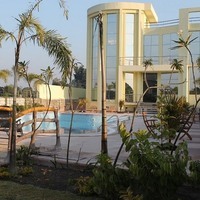 The spaces are equipped with the necessary amenities to help you proceed with your event. You could rest assured of your guests having a good time as the well-trained V Resort team will cater to every need at your event. 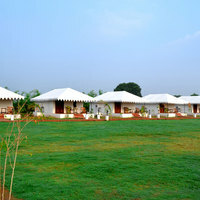 V Resorts has an extensive network spanning 14 Indian states. This comprises 70 properties spread across destinations like Assam, Himachal Pradesh, Haryana, Jammu and Kashmir, Madhya Pradesh, Maharashtra, Kerala, Rajasthan, Sikkim, Uttarakhand, West Bengal, and Delhi NCR. The brand’s recent project includes V Resorts Black. 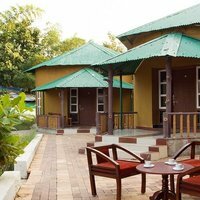 This category of V Resorts is located at Sariska, Ranikhet, Ranakpur, Pench, Delhi, Bandhavgarh, Nashik, Bhimtal, and Alleppey. V Resorts will be soon be unveiling its loyalty program. This will allow you to sign up as a member and gain exclusive benefits. The brand of resorts currently offers a range of packages, which give you the chance to combine exciting activities with your accommodation. Start enjoying the benefits of booking with Cleartrip by downloading the Cleartrip app, which offers you a varied range of travel solutions. Besides, you could use the exclusive pay@hotel feature to make your payment directly while checking in at your hotel.